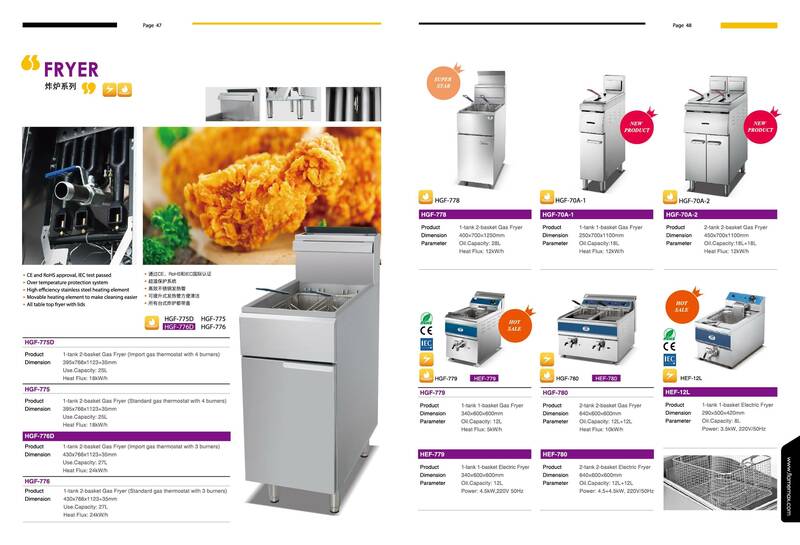 2018 Various of hot sale fyrer for different needs - China Foshan Nanhai Flamemax Catering Equipment Co., Ltd.
With the development of ecnonmy and culture, the pace of our life is also accelerating. Meanwhile, the requirements of food is rasing, too. 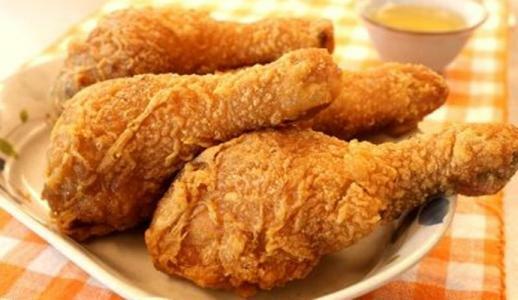 However, no matter what changes, there is one thing that the love of fried food will never be replaced. Would you like to make your meal easy and tasty? 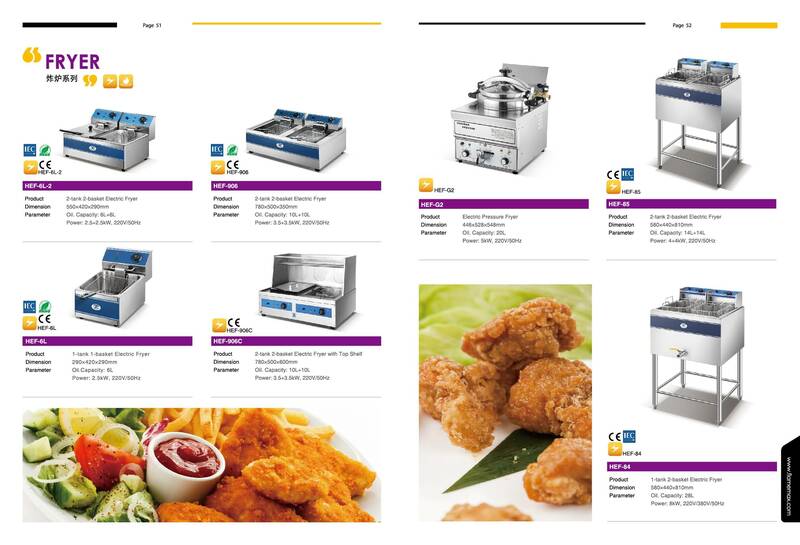 FLAMEMAX catering equipments can help you with that. 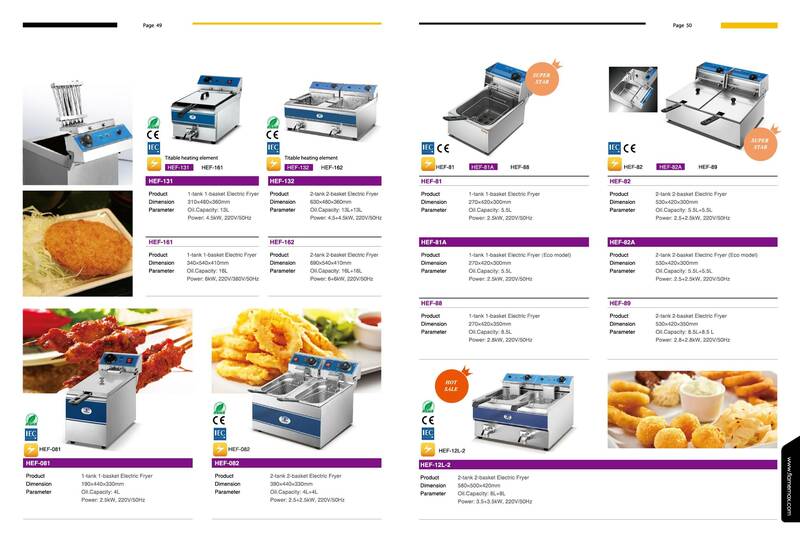 As you can see the catalogue pages as following, you can find variours of fryers which can meet you different needs. 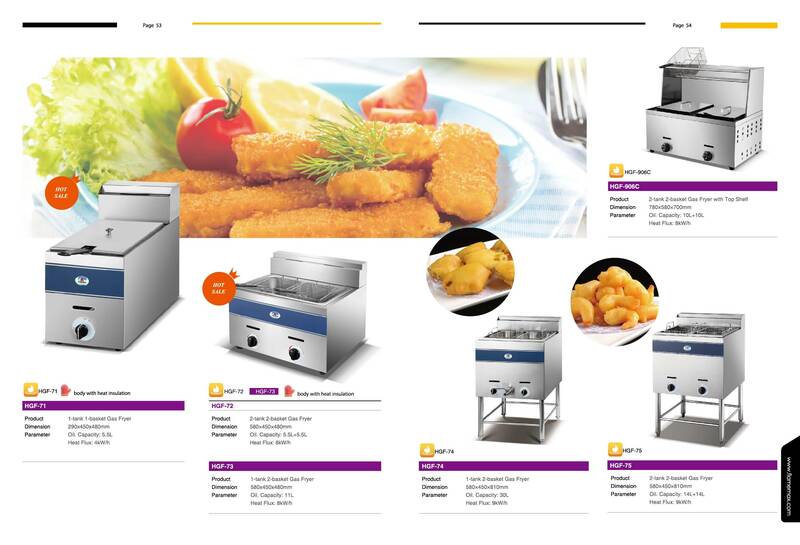 We have gas type, electrical type, table-top type, free standing type and many different capacities for your option.We believe that it will be quite easy for you to make a choice.Meanwhile,our excellent products, good quality, competitive price and posstitive service will make you feel that trust FLAMEMAX is the most right thing to do.